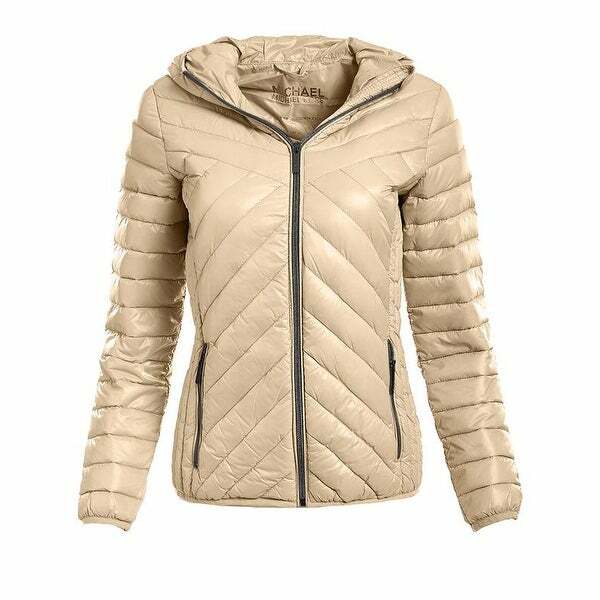 Michael Michael Kors Women's Khaki Down Hooded Quilted Puffer Packable. Quilted. Front tzip closure. Two hand pockets. Hooded. Down filled. Machine wash.